I was impressed with their nsa butter pecan earlier this year so I said why not try out another one, right?? And peanut butter is involved which is always a plus. Wait, is it no sugar added peanut butter as well? I have no idea and am too lazy to look it up so let's just get into things. Scooping down, there's a good amount of peanut butter in this container. Not quite the explosion as their collaboration with Peanut Butter & Co. earlier this year but still a respectable amount. Not to mention, this comes in at 110 calories per serving which is the lowest I think I've encountered for a flavor that has peanut butter involved. 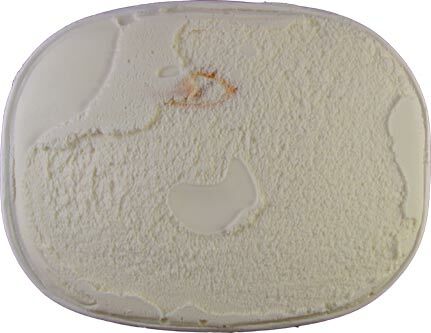 The ice cream itself is on par texture and consistency-wise as their normal offerings. It might be a tad bit less creamy but it also feels a little bit denser. It's an equal tradeoff if you ask me. The vanilla flavor is pretty basic. It's sweeter than a basic vanilla base but there's nothing really that stands out about it. It's just your typical old vanilla that has a bit more sweetness to it which I'm going to attribute to the artificial sweeteners. The peanut butter on the other hand is right on point. It tastes just like normal peanut butter to me. The only problem I have is that it's a bit more solid than a typical peanut butter swirl. I like it to have a bit of pliability to it but this stuff is more solid and breaks off into pieces like a brittle. It's not bad by any means, just not how I want my peanut butter swirl. All things considered, this is a good option for those who have to limit their sugar intake or who are looking for a lighter peanut butter involved option. It's not something I would repurchase myself but if you fall into the target demographics, I say pick it up before it disappears for the year. Always appreciate the NSA reviews, so thank you Nick! 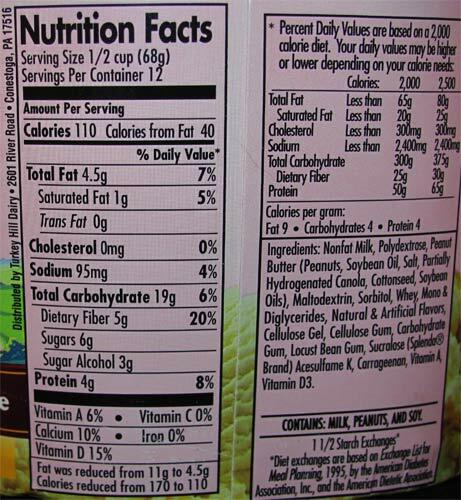 From the ingredient list, it looks the PB doesn't have any added sugar. I was disappointed to see that they used a pb with partially hydrogenated oil though. Hope school is going well and that you have a very Happy New Year! I honestly didn't even look at the ingredients to check what was in it. That is a shame they use partially hydrogenated oils though. I looked up their other flavors that have peanut butter swirls and they don't have ph oils at all so it's weird they'd choose to use a kind here. And thanks for checking in. School is going well and I'm on break right now. You have a great New Year as well! Hi Nick. Merry Christmas and Happy New Year. 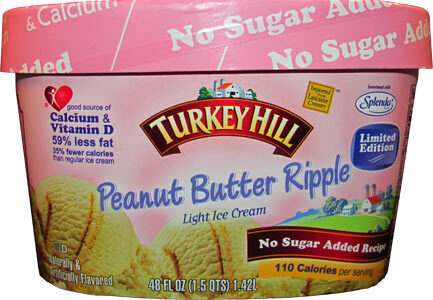 PB Ripple Light ice cream: Sounds and looks Delicious. Quaintly so. Being raised on peanut butter added ice creams, over the last couple of months I've blending salted raw peanut butter into tempered, store-bought ice creams, throwing them back in the freezer and eating them later. The latest one I've been doing that with? Edy's Slow Churned Summer in the City Cheesecake. Since I read your reviews I've bought 4 faux 1/2 gallons (The Grand version currently isn't available at Grocery Outlet.) The low-fat version does the job. The salted PB complements the mild vanilla flavor. There's just a 1/4 quart left. :( That's what I think about when I see this review. On a side note... I agree with your Edys/Dreyer's review of SitC Cheesecake. Cheescake is delicious but so underused here. 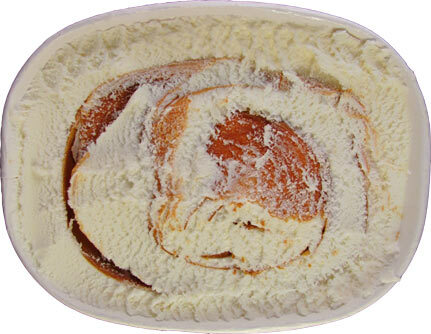 And the ghe graham cracker swirl is too icy in some places. For my taste buds cheesecake pieces work best in a chocolate base or a fruity swirl. Are you planning to post best ice cream of the year and the worst ice cream of the year?